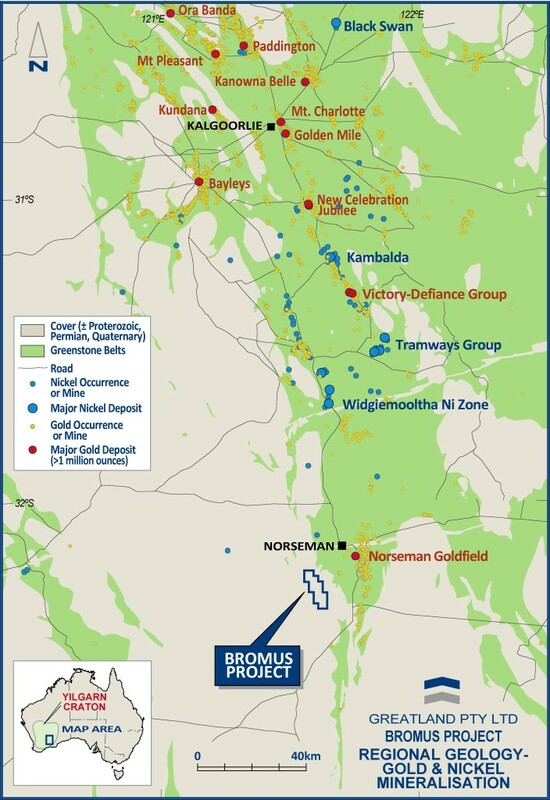 The Bromus project is located 25km south-west of Norseman and 65km south of the historic Chalice gold mine in the southern Yilgarn region of Western Australia. 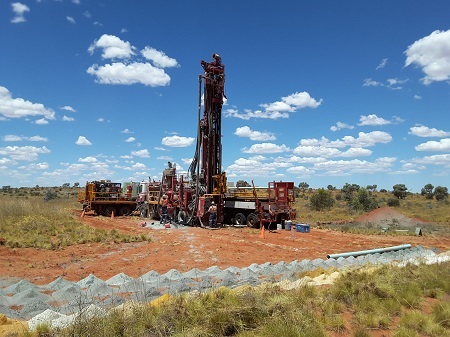 The Bromus exploration licence covers 52sq km of under-explored greenstone & intrusive granites of the Archean Yilgarn Block at the southern end of the Kalgoorlie-Norsman Belt, host to over 120M oz Au and numerous nickel deposits. Its location provides access to a skilled local labour force, excellent infrastructure & transport links with highways & a railway line running to the south-east of the licence. Greatland Gold has identified several geochemical targets over 10km of strike prospective for nickel and gold. 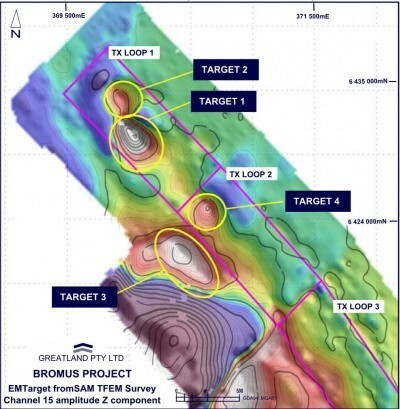 Recently released government aeromagnetics outlined a 4.5km long ultramafic unit in the south-eastern portion of the Bromus tenement. Historical data was reviewed by Greatland Gold and show consistently high nickel levels at surface with up to 2,690ppm Ni reported. 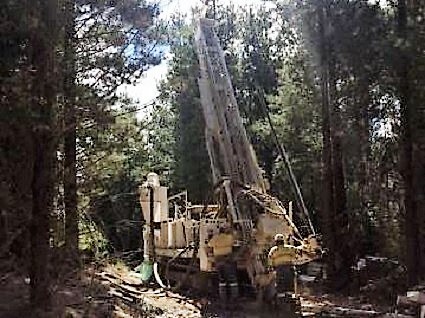 No previous exploration work on the area targeted nickel and although it is not the company’s target commodity it does warrant further investigation. A ground total-field, fixed loop SAM EM survey was carried out by the Company in Q2 2015, with 78.9 line km of coverage over 49 survey lines using three large transmitter loops. Analysis and modelling for nickel-sulphides was completed and detected several significant conductors. Targeting of these was based on conductance, size, orientation and depth. 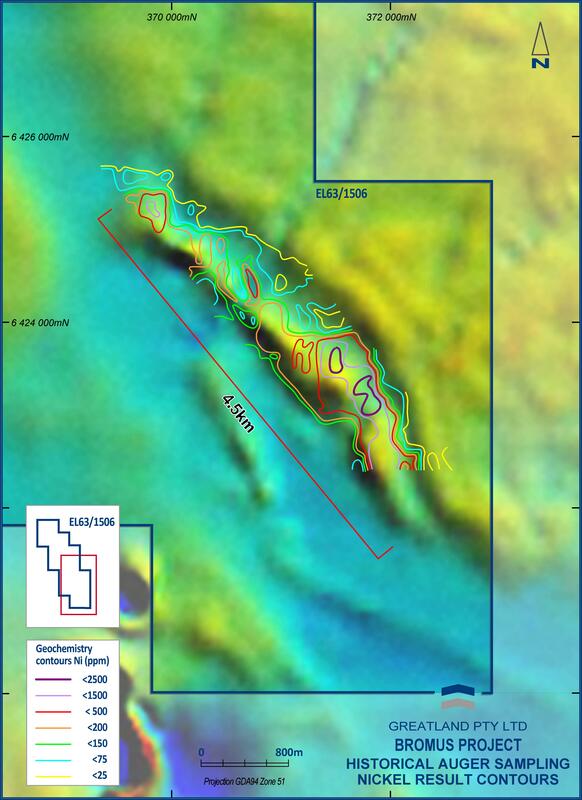 Four highly prospective drill targets were selected for the next stage of exploration. Targets ranged from 100m to 400m in strike length and 60m to 180m in width/depth extent. Drilling was carried out in 2016 and followed up with a down-hole electromagnetic (DHEM) survey of the holes. The purpose of modelling the DHEM responses is to provide the most likely estimate of conductors not intersected by the drilling and to better define the orientation of those that were intersected. 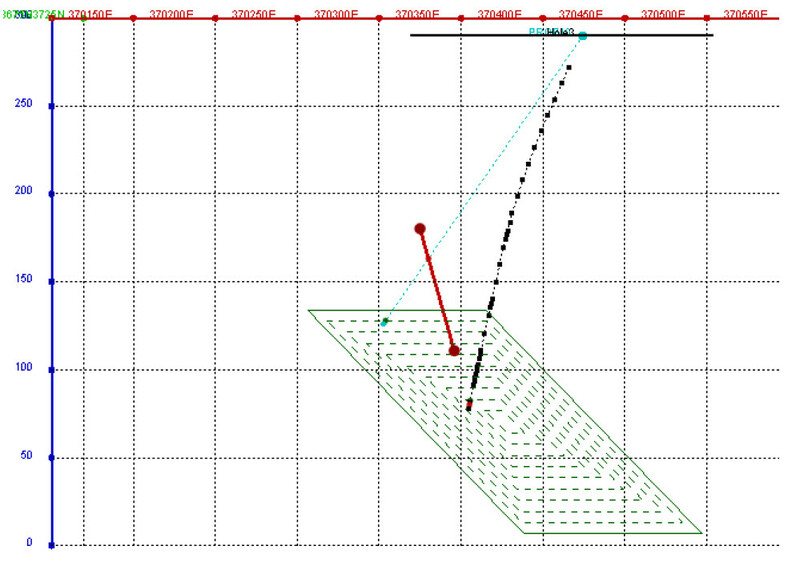 This identified several highly conductive targets not intersected in the drilling campaign. 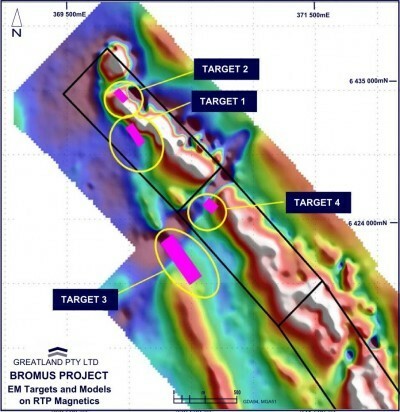 Two of the new targets, located near drill holes BRD001 and BRD003, have conductances which are consistent with massive sulphide mineralisation and are well constrained by the modelling and considered to be high priority targets. They are well defined, relatively shallow (approximately 100 metres below surface) and can be drilled using existing drill pads. 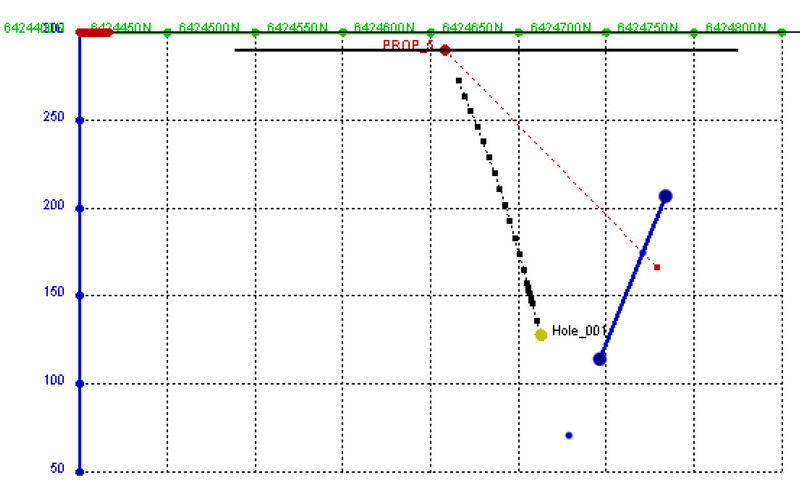 BRD001 – black dotted line is original drill hole, blue solid line is modelled down hole EM (DHEM) conductor. DHEM data shows original hole failed to intersect conductor. Second hole (red dotted line) designed to intersect DHEM conductor. Mafic and granite lithologies intersected in original hole. No conductive lithologies (black shale) intersected in original hole. No VMS-type sulphides in original hole. BRD003 – black dotted line is original hole, red solid line is modelled down hole EM (DHEM) conductor. DHEM data shows original hole failed to intersect conductor. Second hole (green dotted line) designed to intersect DHEM conductor. Ultramafic and granite lithologies intersected in original hole. No conductive lithologies (black shale) intersected in original hole. No VMS-type sulphides in original hole. 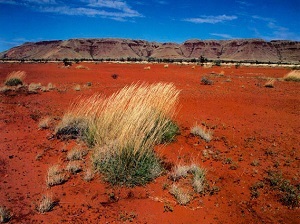 Bromus comprises a north-west trending greenstone belt that is situated between the Goodia granite dome to the east and granite gneisses to the west. 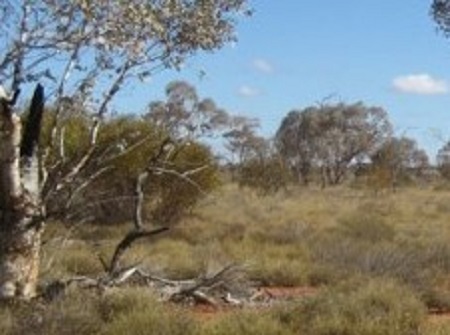 Interpretation of aeromagnetic data suggests the greenstone belt has a width of some 2km. 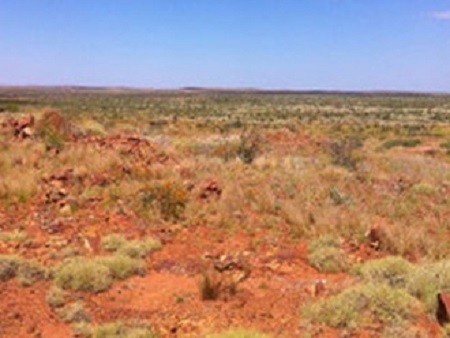 The majority of the tenement is covered by calcareous soils with little exposure of the underlying prospective ultramafics and greenstones. Excellent infrastructure is in place and nearby roads from Kalgoorlie to Esperance as well as the main Norseman-Esperance highway passes through the far south-eastern parts of the licence area. The Kalgoorlie to Esperance railway runs adjacent to the highway. Water and electrical infrastructure is also close by. 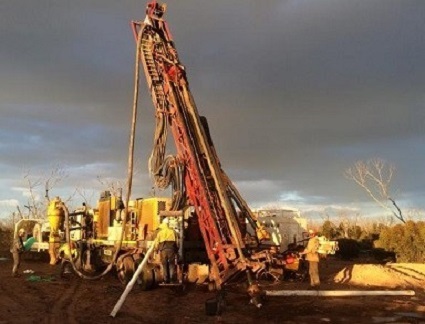 Bromus is approximately 150km north of the Southern ocean and its easy logistics make it an attractive mining location. Other nearby licence holders in the region include AngloGold Ashanti Limited and Teck, the Canadian mining company.